A woody perennial and aromatic, dense evergreen shrub with needle like leaves and blue, purple, white or pink flowers. It’s a native to the Mediterranean. Forms of rosemary range from upright to creeping. 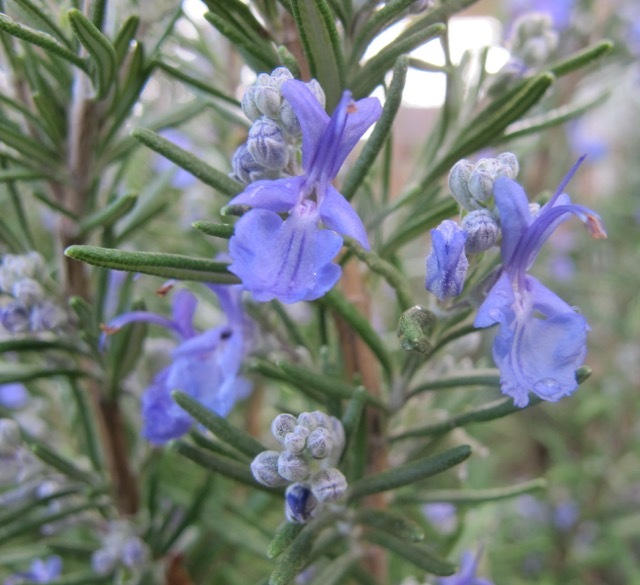 The upright forms can reach 1.5 (-2m)/ 5 (-6.5)ft.
Rosemary leaves can be used fresh or dried. 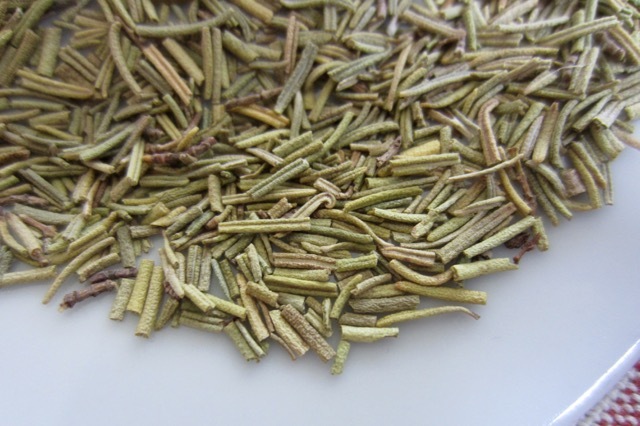 They have a distinctive and strong aromatic flavour and a bitter astringent taste and should be used sparingly, to flavour food. Rosemary is used as a herb in fresh or dried form to flavour many foods, both savoury and sweet, including vegetables, pulses and meats. For drinks: steep fresh rosemary sprigs in summer drinks like lemonade. For roasting and grilling: roast pork, lamb or fish on a bed of rosemary; lay rosemary branches on bbq embers when grilling meats or fish; use rosemary sprigs to baste food on grill or bbq as this imparts flavour to the food. Rosemary can be used in marinades, stuffings, tomato sauce, pasta sauces, stews, casseroles, ragout, slow cooked stews, and soups. It can be used to flavour meats such as chicken, pork, game, rabbit or fish. It can be used to flavour vegetables like eggplant, green beans, cabbage, peas, mushrooms, potatoes or pulses like lentils, chickpeas, beans or grams (green or black grams). Baking: used to flavour breads, pastries, scones, biscuits and cookies. 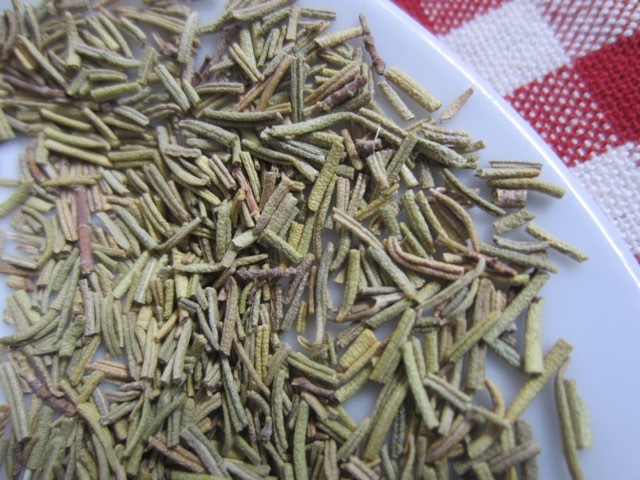 Italy: popular herb used in sweet and savoury dishes. Butchers garnish the meat on display with rosemary sprigs. 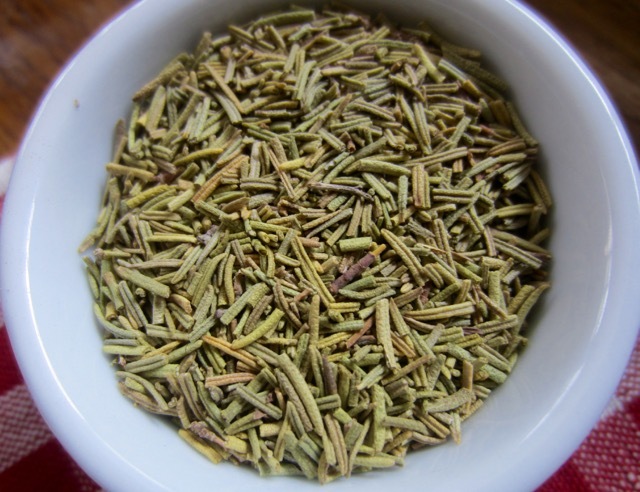 Rosemary is used as an ingredient in Herbs de Provence or bouquet garni. 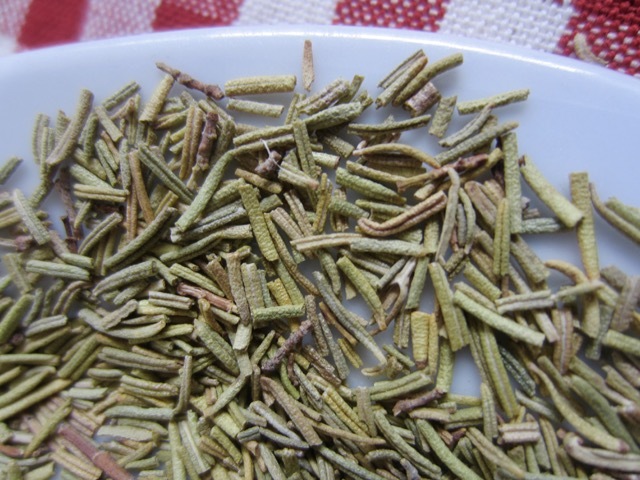 It’s also used as an ingredient in many spice and herb blends such as Italian Seasoning. Use rosemary leaves to infuse milk, cream or syrup used for desserts, . The leaves can also be used to make herbal tea. Crystallized or fresh rosemary flowers used as a garnish. Rosemary can also be used as an ornamental in gardens. It flowers in spring and summer in the temperate regions. Used in perfumes, burnt as incense, used in scenting soaps, shampoos and cleaning detergents. rosemary leaves can keep several days in the fridge or in a vase filled with water. Rosemary is hard to grow from seed (herbs and spices) but easy to propagate by cutting or layering. It’s available all year round. Prev What is Italian Seasoning? Next What is Caraway Seed?